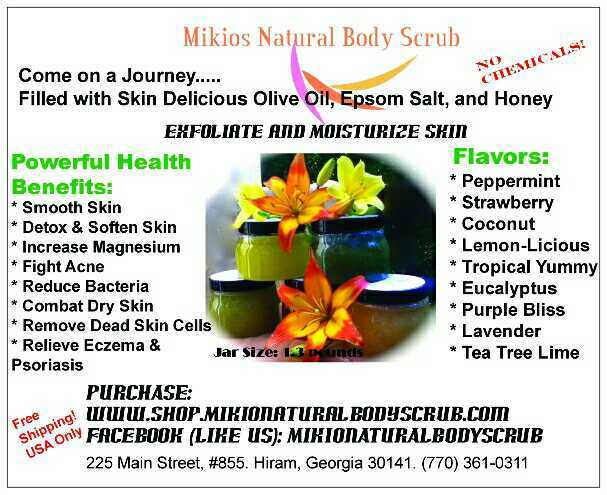 Let us relieve your dry skin today at WWW.shop.MikioNaturalBodyScrub.com. This is a dry skin moisturizer, exfoliator, and skin softener all in one bottle of 100 percent natural salt body scrub. Free Shipping in the USA. This entry was posted in about body scrub, Bath & Body, Body Scrub, cure dry skin, dry skin, Epsom salt body scrubs, Mikios natural body scrub, organic skin care. This entry was posted in 100 % free shipping, about body scrub, antioxidants, arbor place mall, bath, Bath & Body, Body Scrub, body scrubs, cure dry skin, Epsom salt body scrubs, health and beauty, health benefit of body scrub, healthy skin and tagged Mikios Natural Body Scrub.